It was late 1967. On the eve of their European tour, Henry Grimes was supposed to meet Cecil Taylor at the airport. He never did though. Out to lunch by all accounts, Grimes was as good as gone. And thus begins one of the most bizarre sagas in improvised American music. 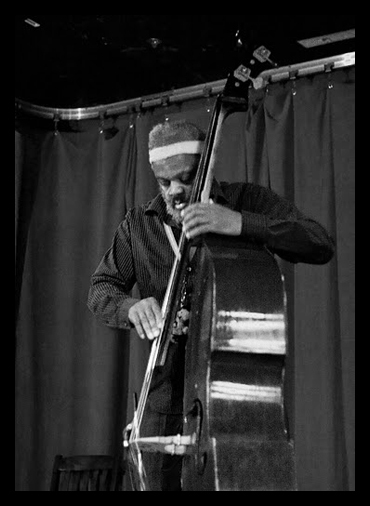 Lost from the earth for some 35 years, Henry Grimes – the bassist de rigueur for everyone from Benny Goodman and Gerry Mulligan to Sonny Rollins and Albert Ayler – was widely presumed to have died sometime in the ‘80s. Prior to that, rumor had the Philadelphia-born, Julliard-reared musician everywhere from South Africa to Skid Row. However, in December of 2002, an unknown social worker from Athens, Georgia announced to the world that he had, in fact, found Henry Grimes – or at least what was left of him. Eking out a quiet, hardscrabble existence in a South Central Los Angeles tenement, Marshall Marrotte was ill-prepared for just how deep Grimes had succumbed. For starters, Grimes was shocked to hear of Albert Ayler’s 1970 suicide. And when Marrotte handed him a stack of his own music reissued on CD, Grimes sat transfixed, having never before held a compact disc. But perhaps most discouragingly, Marrotte learned that one of the foremost bassists of his time no longer had an instrument of his own. 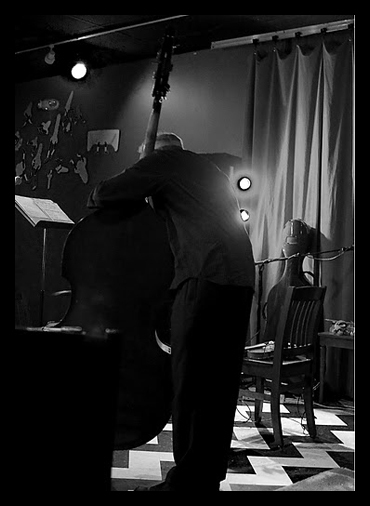 The bass, that just months before his disappearance had recorded Don Cherry’s Symphony for Improvisers and Pharoah Sanders’s Tauhid, had long since fallen into disrepair. Too broke to fix it, Grimes pawned it away. Aside from the hundreds of notebooks spilling out poetry strewn all about his living space, there was little evidence left of the mind or the fingers that had so deftly guided jazz’s lower end through swing, bop and on to its outer limits in free improv. You would never have guessed any of this if you were at the performance on Sunday. 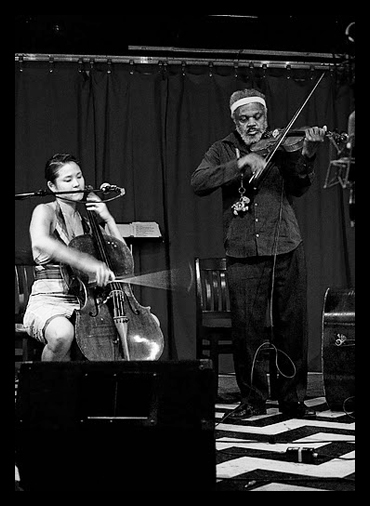 Armed with a striking yellow-green bass nicknamed “Olive Oyl” (a gift from fellow free bassist William Parker) and his tireless manager/doting second wife Margaret, Henry Grimes first returned to the stage back in March of 2003. And while subsequent gigs haven’t always been easy, much less triumphant, Grimes’ performance at The Windup Space sure did look and sound a lot like it. Two months shy of his 75th birthday, Henry Grimes is still every bit as imposing as he was in the early ‘60s. Clad in all black – save for his trademark colored headband – his solo creations, be it on “Olive Oyl” or his newly found violin, gushed forth fully realized as if composed weeks before. Time has dulled neither wrist nor wit, and even given the dense and thorny nature of Grimes’ excoriations of the idiom, there’s a logic all too followable, all too right, about his improvisations. The epitome of cool, he hardly breaks a sweat as it is. And if he falters at all, you’ll likely never know it. And while we could have done the nearly inaudible recitations of poetry, who’s to fault a septuagenarian brave enough to take a stab at something as naked as spoken word? Joined by Baltimore’s own Audrey Chen on cello and voice for his final set, Grimes retreated back to his well-worn role of sideman, gladly giving her home field advantage in the mix. No lightweight on the free music circuit herself, Chen is a curious solution: One part Charlotte Moorman and two parts Diamanda Galás. 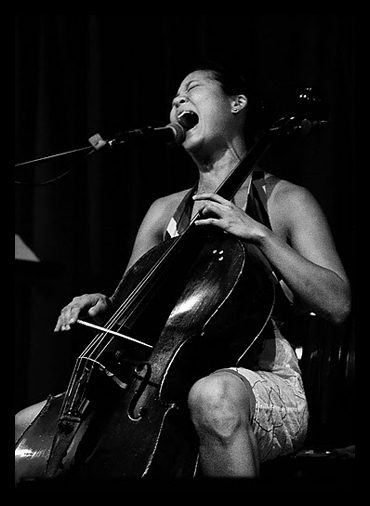 Whatever she does on the cello, she can no doubt replicate, in spades, with her voice. For the most part, the duo’s conjuring were a much obliged change of texture and taste. And the fact that Grimes was willing to abdicate as much room as he did on the opening night of a solo tour speaks as loudly about the man as it does the musician. 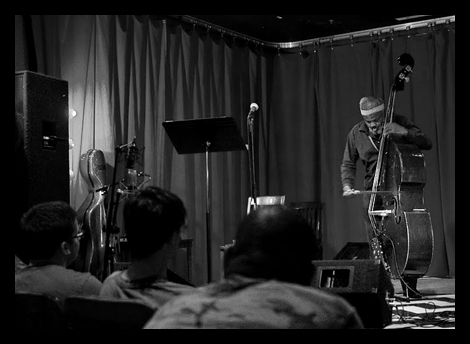 In the end, we may never know why Henry Grimes turned his back on jazz at the height of his prowess. Burnout, runaway? Or had he simply lost his mind? This late in the game perhaps not even Grimes himself can account for the nearly four decades he spent wandering in the desert, so to speak, of California. Second chances being what they are, if ever anyone deserved one though, it would most certainly be Henry Grimes. And for right now anyway, he’s more than making up for lost time.